This morning Space Shuttle Discovery left Kennedy Space Center in Florida on its way to its new home at the Smithsonian in Washington, DC, and it got a great sendoff in Florida, with tons of pictures out there on the Internet for those who couldn’t be there. When Discover got to Washington, its piggyback carrier plane did a flyby of the city, a cool and touching tribute and welcome. 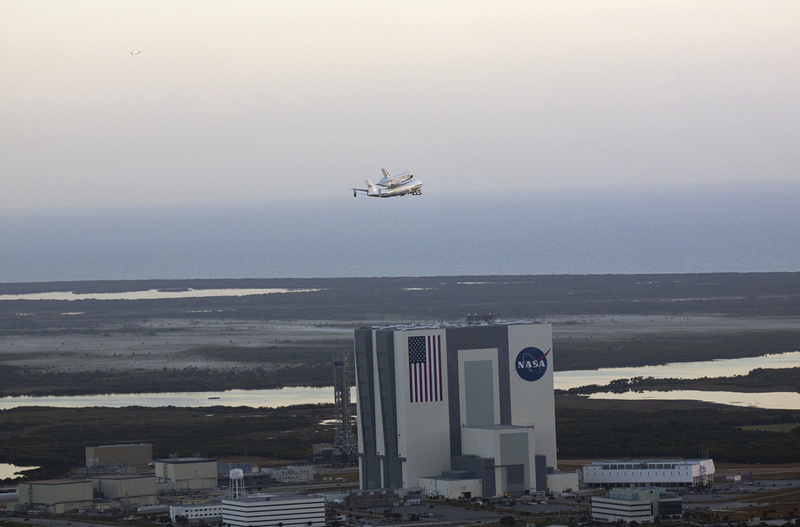 Definitely check out NASA’s Kennedy Space Center Facebook page and the usual social media suspects for images.